Recent scientific advances have provided substantial information on the brain circuits and pathways relevant to various aspects of dependence. 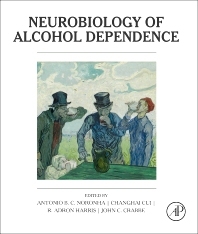 Neurobiology of Alcohol Dependence highlights the most recent data at the molecular, cellular, neurocircuitry, and behavioral levels, fostering an understanding how neuroplasticity and neuroadaptation occur, and how different neural pathways and neurocircuits contribute to dependence. Researchers, clinicians, and advanced students in alcohol, addiction, and neuroscience research fields. Alcohol’s Interaction with GABAA Receptors: Mediation of Alcohol’s Reinforcing Effects? How Do α4βδ GABAA Receptors in the Medial Shell Contribute to Alcohol’s Reinforcing Effects? Alcohol’s Actions at α4βδ GABAA Receptors: Direct or Indirect?